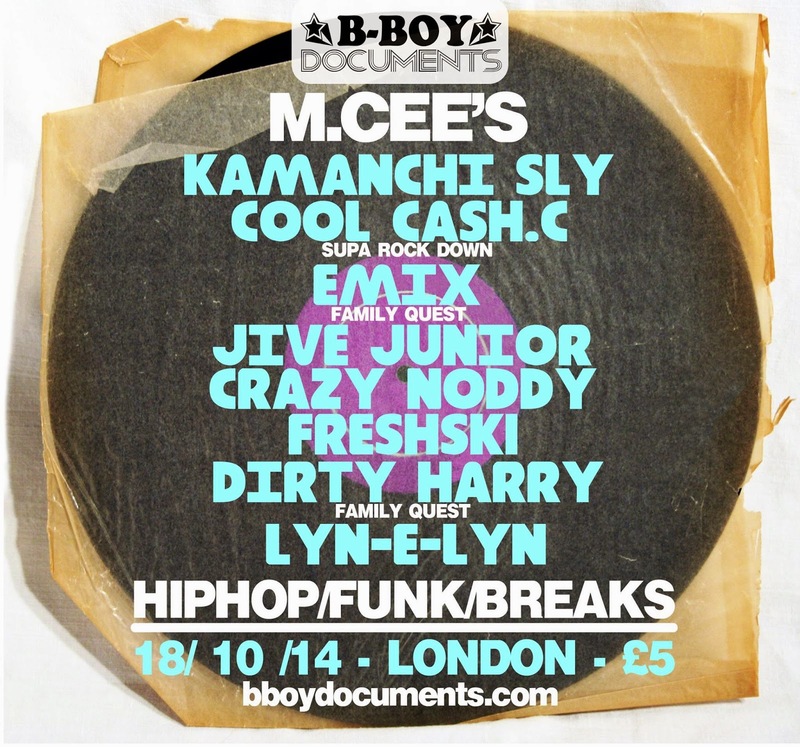 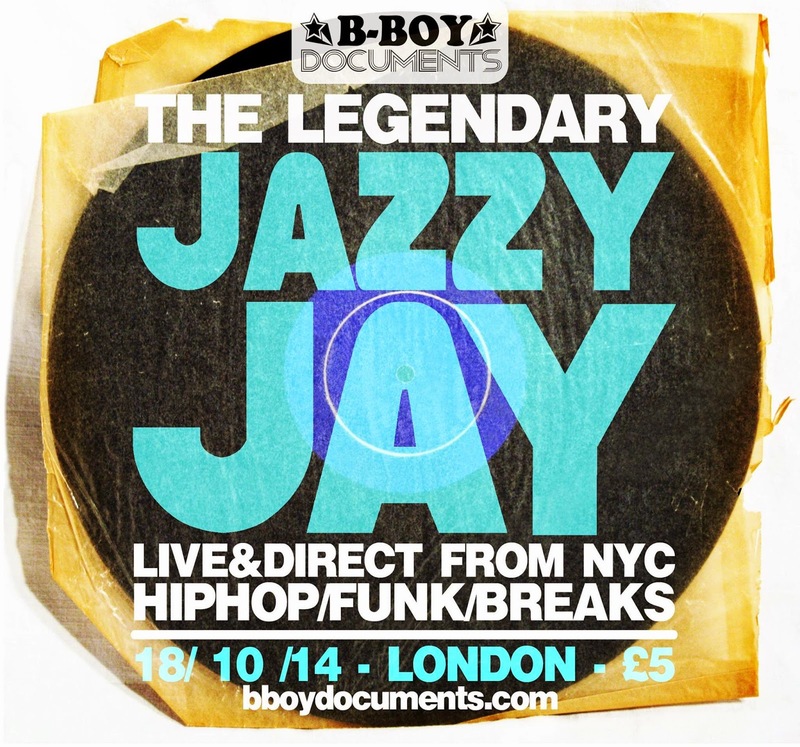 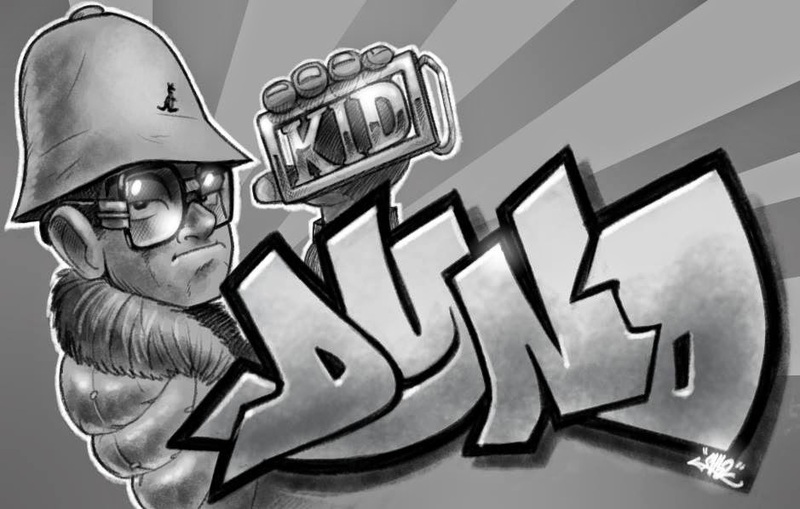 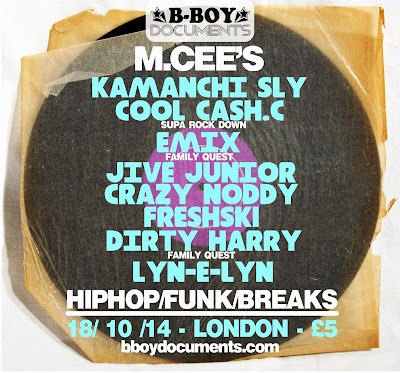 B-BOY DOCUMENTS crew proudly present the return of JAZZY JAY to the UK for a one-off special show featuring many of the original heads from the UK hip hop scene. 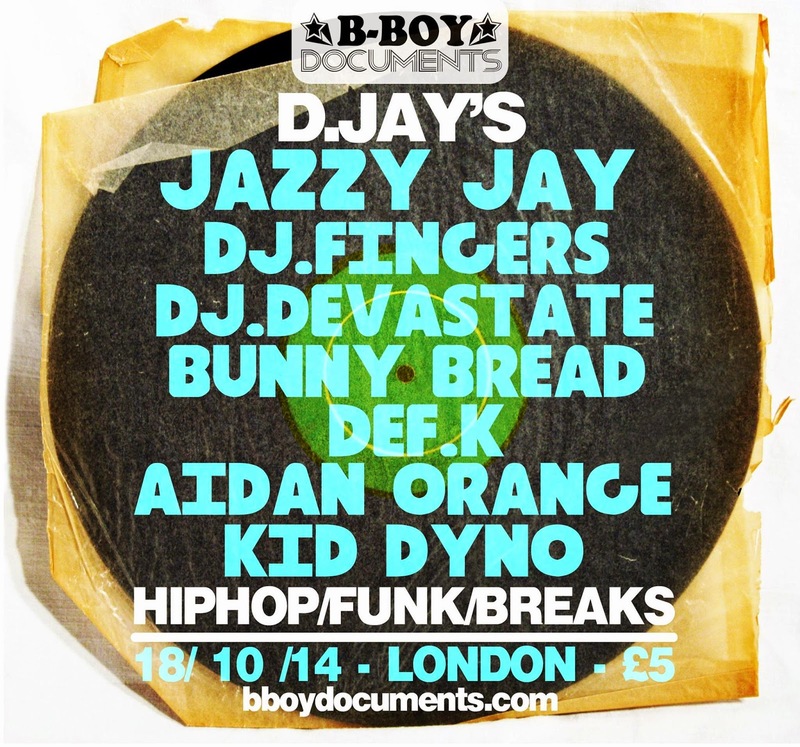 Check out the list of names and make sure you get to North West London on October 18th. 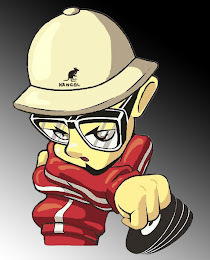 We aims to reps Dyno. 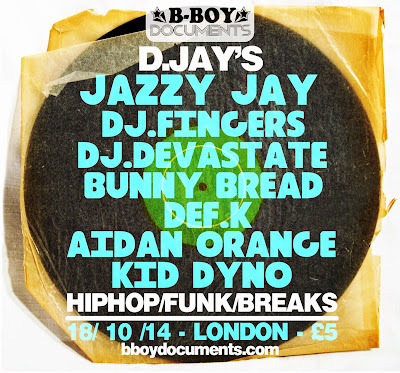 Lookin forward to it.